GNU ddrescue is a data recovery tool. It copies data from one file or block device (hard disc, cdrom, etc) to another, trying hard to rescue data in case of read errors.Ddrescuelog is a tool that manipulates ddrescue logfiles, shows logfile contents, converts logfiles to/from other formats, compares logfiles, tests rescue status, and can delete a logfile if the rescue is done. Ddrescuelog operations can be restricted to one or several parts of the logfile if the domain setting options are used.The basic operation of ddrescue is fully automatic. That is, you don't have to wait for an error, stop the program, read the log, run it in reverse mode, etc. If you use the logfile feature of ddrescue, the data is rescued very efficiently, (only the needed blocks are read). 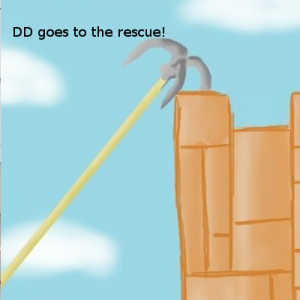 Also you can interrupt the rescue at any time and resume it later at the same point. Ddrescue does not write zeros to the output when it finds bad sectors in the input, and does not truncate the output file if not asked to. So, every time you run it on the same output file, it tries to fill in the gaps without wiping out the data already rescued. Automatic merging of backups: If you have two or more damaged copies of a file, cdrom, etc, and run ddrescue on all of them, one at a time, with the same output file, you will probably obtain a complete and error-free file. This is so because the probability of having the same area damaged in all copies is low. Using the logfile, only the needed blocks are read from the second and successive copies. A python script to make it easier to use ddrescue. It provides a simple graphical method for using ddrescue. 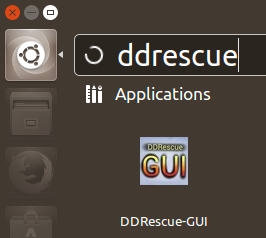 This is desgined to be as user-friendly as possible so users new to linux can use ddrescue easily.